Omega Research & Development Technologies, Inc. is proud to officially launch Weblink Mobile for Apple (OL-WLM-AP1). Omega Research and Development Technologies, Inc. is now shipping the new AC-200-PSI Air Compressor/Air Tank Combo. Omega Research & Development Technologies, Inc. is proud to announce the AU-NCT (Normally Closed Trigger) Sensor. Omega Research & Development Technologies, Inc. is proud to announce the all new Omega-CarLink-3G. Omega Research & Development Technologies, Inc. is proud to announce the Ford Fusion and Lincoln MKZ solutions for OL-MDB-ALL and OL-BLADE-AL. Omega Research & Development Technologies, Inc. is proud to announce it is now shipping the SM-TP-71P Tire Pressure Monitoring System. Omega Research and Development Technologies, Inc. is now shipping the new Excalibur 60-series remote start line up. 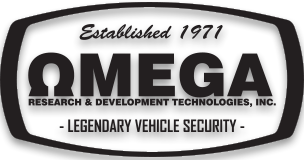 Omega Research and Development Technologies, Inc. has just released updated vehicle information on their installer support site, wiresheet.com. Omega Research & Development Technologies, Inc. is proud to officially launch Weblink Mobile for Android (OL-WLM-AN1). Omega Research and Development Technologies, Inc. is now shipping new Excalibur 60-series remote start line up which includes the new VIRTUAL ALARM feature.